October 8: deadline for online & mail-in voter registration, address/name changes, & other updates. Click here for more information on dates and deadlines. For replacement ballots in Snohomish County, click here. Join Rep. Peterson at the Edmonds Chamber of Commerce Candidate Forum on October 1. Join Rep. Peterson at the League of Women Voters of Snohomish County Candidate Forum on October 9. 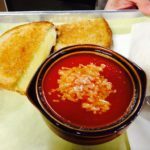 Join Rep. Peterson at the 1st Annual Grilled Cheese and Tomato Soup Fundraiser on October 17. Mukilteo Lighthouse Festival Parade on Sep. 8! 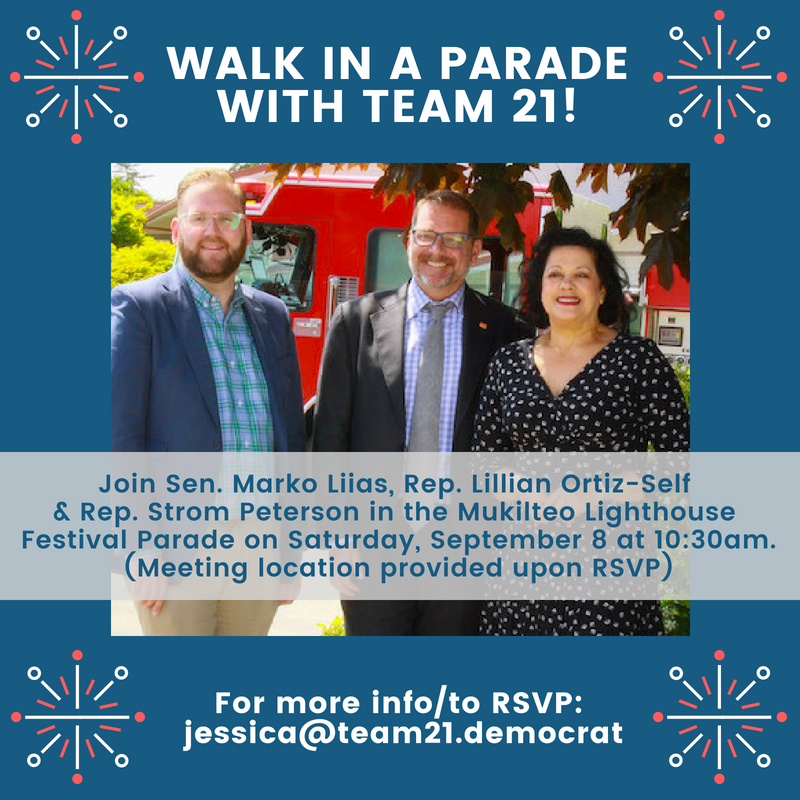 Please join me, along with my Team 21 friends and colleagues Sen. Marko Liias and Rep. Lillian Ortiz-Self, in the Mukilteo Lighthouse Festival Parade! This is a fun and festive way to celebrate our community and support my re-election campaign. The parade starts at 10:30am, so please arrive by 10:15am to check in and grab some festive parade accessories (meet-up details provided upon registration). Friends and family are welcome to join! Join Team 21 for doorbelling in the 21st District on Saturday, July 7. Join Rep. Peterson along with Senator Marko Liias and Rep. Lillian Ortiz-Self for door knocking in the 21st district to meet our neighbors and support their re-election campaigns. Training/materials and coffee will be provided. Location: 21st District – location provided upon RSVP. Join Representative Strom Peterson — and his Team 21 colleagues Rep. Lillian Ortiz-Self and Senator Marko Liias — at the 2018 An Edmonds Kind of 4th Main Parade! We are looking for dedicated supporters to join us as we walk the parade route and spread some patriotic cheer at this fun, family-friendly event. Friends/family welcome…the more the merrier! Location: Edmonds – starting/meet-up location provided upon RSVP. Join Rep. Strom Peterson at a Families Belong Together march/rally on Saturday, June 30. The federal government’s war on people will not let up anytime soon, so it is up to us at the state and local level to be the change. Click here to find an event near you.